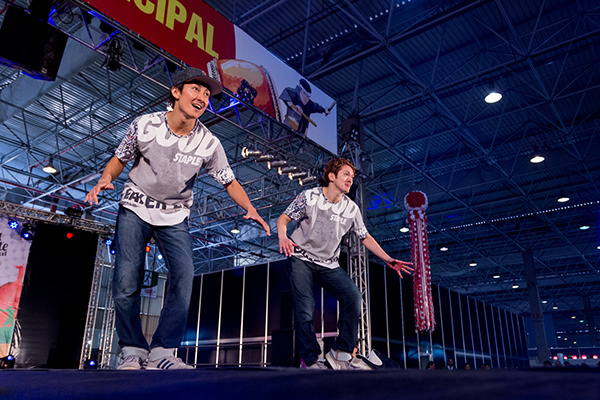 Coinciding with the 19th Japan Festival in Brazil held in July 2016, the Japan Foundation, São Paulo invited a Japanese street dance unit Hilty & Bosch and hosted dance performances at the Festival do Japão and the Museu de Arte de São Paulo (MASP). 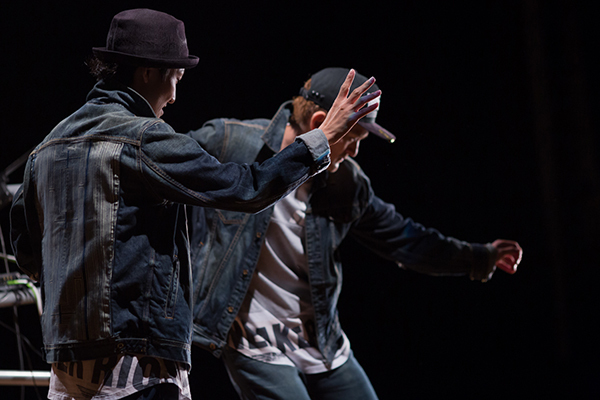 Hilty & Bosch, now in their 19th year, have performed street dance in over 30 countries. Here is what they wrote about their dance exchanges with the children in a favela they visited, as well as the dance performances. Will the people of South America appreciate our dance performance? Such anxious thoughts swept through our minds. Awaiting us, however, were exciting days full of stimulation. On this trip, we had many experiences through dance, including our dance exchanges with the children living in a favela, our performances at the largest festival dedicated to Japanese culture in South America, and our solo performance at MASP. Actually, this was not our first time interacting with children living in poor areas. We previously had a similar experience when we visited Cambodia and Laos for a different project. In Cambodia, children living in a slum all jumped into a river to see us off for our trip home by boat, continuing to wave their hands until we disappeared from their sight. 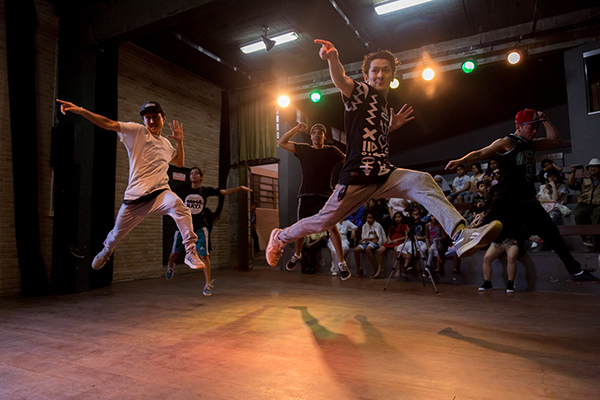 In Laos, children who were unaware of dance moved their body cheerfully with smiles on their faces. And in Brazil, the children who watched our show could hardly suppress their excitement and asked us to sign autographs on their bodies. For the very first time in our lives we signed autographs on people! If I had to choose the most memorable moment, it would be the time when the children asked how they could dance like us or whether they had the ability to dance, and we told them how we got started with dancing. We started dancing in the days without the Internet, so the two of us would re-watch a single videotape until it was nearly worn out and then practice endlessly on the street. Upon hearing this, the children said to us, "So my dreams can also become a reality." We were deeply moved. We believe that dance definitely has the power to allow people to understand each other across racial, language, gender, and age barriers. Every time we hold dance exchanges, we realize the enormous potential of dance to connect with people around the world. The Festival do Japão in Brazil, the largest of its kind in South America, is a major event that attracts more than 160,000 visitors over two days. At this festival, we held a 20-minute mini live performance on both days. We were astonished to see that an event of this magnitude can be held on Japanese culture alone, and it made us proud of Japanese culture. This popularity is certainly thanks to our Japanese ancestors, whose efforts resonated with the Brazilian people and became firmly embedded here, deepening the understanding of Japanese culture in Brazil. On a personal level, it was very meaningful for us that street dance was included as a part of Japanese culture in this festival. 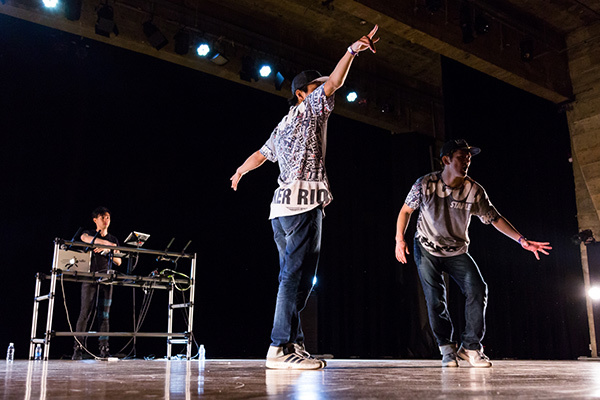 It makes us truly happy to know that street dance culture, which emerged in the United States and evolved in Japan, has become a part of Japanese culture. On our last day, we gave a solo performance at MASP, which was also the main event of our trip. The audience, performers, and music were in unison throughout the performance. All of the essential components of entertainment were unmistakably there. Finishing to a ringing applause and a standing ovation, we came away with a positive impression and a sense of accomplishment, and were once again reminded of the potential of dance. Following the performance, not only the audience but also the local reporters shared with us: although they have viewed many performances of overseas artists, they had never seen a show generate so much excitement. Their comments boosted our confidence. This trip allowed us to once again realize why we have continued to dance and where we should go from here. We, Hilty & Bosch, will keep holding performances and exchanges in various countries and connect the world through dance. Dance is no doubt a common language for the world. We will promote dance to ensure that it becomes a leading Japanese culture, like today's manga and anime. Last but not least, we would like to express our heartfelt gratitude to Japanese human beatboxer REATMO, who joined us in Brazil. Without him, we would not have had success. Thank you, REATMO. We will continue to connect the world through dance. Street dance unit. Ever since the two teamed up in 1997, Hilty & Bosch have continued to lead the street dance scene, performing in over 30 countries. 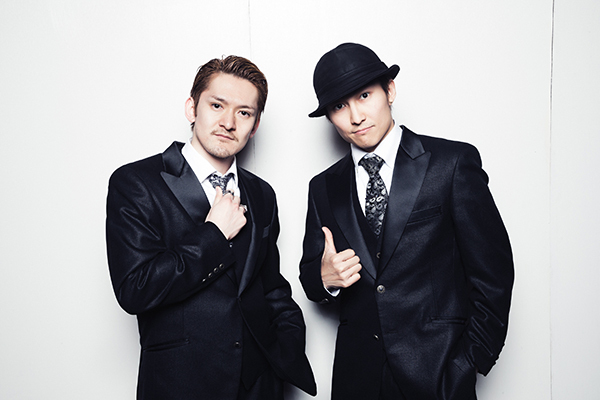 They have made numerous media appearances not only in Japan but also in Europe and Asia. These include TOYOTA's global campaign "The Get Going Challenge," which was developed on the Internet. Their YouTube videos have received over 25 million views in total.